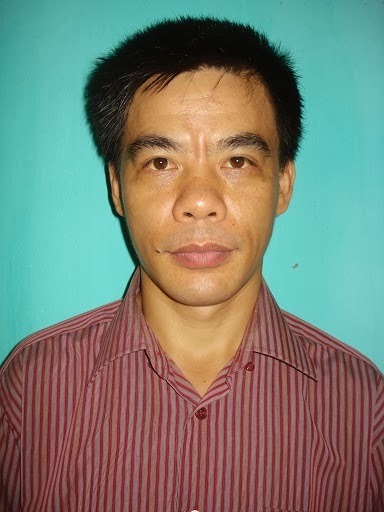 CSDM (Centre for Sustainable Development in Mountainous Areas), is a non-government development organization registered under the umbrella of Vietnam Unions for Science and Technology Associations (VUSTA) as recognized through Vietnam Government’s Decision N035. CSDM has been actively involved with Ethnic Minority communities in mountainous areas since its establishment in 1998 and was formally registered as a different legal entity with the Decision 200QD, 17 October 2000 through Vietnam Geology Association. CSDM has a central management board composed of program coordinators and individuals who carries out the management role of the organization. Our shared vision is to ensure all disadvantaged people and Ethnic Minority groups able to realize their rights, enjoy the best quality of life, preserve rich cultural heritage and transmitted to future generations. All Ethnic Minorities shall have the sense of pride and the dignity of being a distinct people, empowered, capable and self-reliant in all aspects of their lives. Improve the quality of life of Ethnic Minorities by ensuring food security; develop livelihood programs that are sustainable and environmentally sound. Promote sustainable management of natural resources based in indigenous knowledge in harmonization with modern methods and techniques. Revitalize the transmission of Ethnic Minority’s rich cultural heritage to new generation, enable them to preserve and use in all forms of social development. Build, support, develop and strengthen the capabilities of community based organizations (CBO’s) and promote cooperation among communities and organizations. Establish advocacy networks and organizations, mutual cooperation, partnerships and coordination at different levels; local, national, regional and international in support for Ethnic Minorities in mountainous areas. 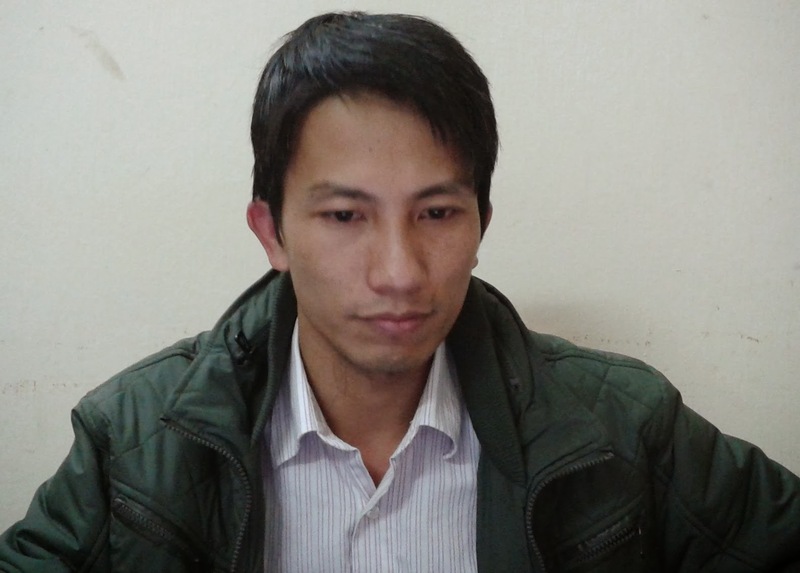 Since 2005, starts its research and advocacy to Vietnam Fatherland Front. Support Traditional Cultural Arts Clubs in Van Quan District, Lang Son province. Member and networking with National REDD network, VRN, VNGO & CC. Formation of Ethnic Minority Youth Volunteer’s Association. Since 2001, active participant and a regular member of Asian Indigenous Peoples Pact Foundation (AIPP) Chiang Mai, Thailand. 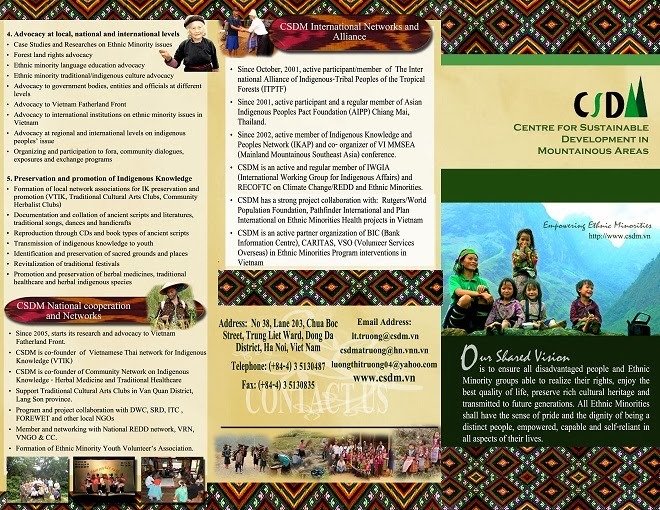 Since 2002, active member of Indigenous Knowledge and Peoples Network (IKAP) and co- organizer of VI MMSEA (Mainland Mountainous Southeast Asia) conference. CSDM is an active and regular member of IWGIA (International Working Group for Indigenous Affairs) and RECOFTC on Climate Change/REDD and Ethnic Minorities.